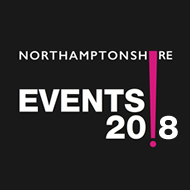 The Northampton & Lamport Railway is a steam and heritage diesel tourist railway in the heart of the Northamptonshire countryside, located just 5 miles from Northampton we are in easy reach of the motorway network. With approximately 1½ miles of running track alongside the Brampton Valley Way, a 14 mile linear park from Northampton to Market Harborough, you can not only ride one of our trains along the former line but walk along and watch the steam and diesel engines in action. At Pitsford and Brampton station you can buy one of our Day Rovers tickets* (on selected services) and ride all the trains all day, sit watch the world over a cup of tea at the Platform 3 Buffet and visit the gift shop or our second hand bookshop – the Emporium. All staffed by our dedicated team of volunteers who ...work hard in bringing history back to life.